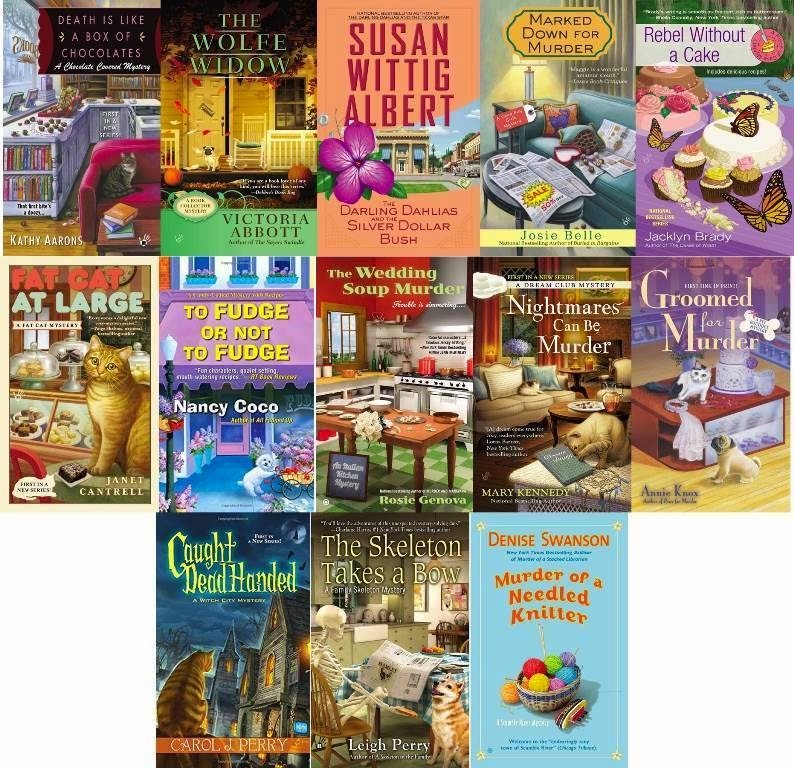 It's the first Tuesday of the month--the day all new cozy mysteries are released. Take a look at these beauties! So many friends have new releases, and I can't wait to get my copies. I really enjoyed "All Fudged Up," the first in Nancy Coco's Candy Coated mystery series and am looking forward to number two. Really fun setting. And my gosh, how great a title "Death is Like a Box of Chocolates"! Love it!